Dr. Joshua Rothman’s book, Flush Times & Fever Dreams, describes an outbreak of violence in 1830s Mississippi that writers for The Daily Beast and UK’s MailOnline have likened to the plot of Quentin Tarantino’s latest film. Django Unchained’s recent Oscar success has again put a spotlight on the film’s controversial subject matter, which depicts slavery in the pre-Civil War South with a high level of graphic violence. History professor Dr. Joshua Rothman says that while the violence in the film was obviously designed to shock and entertain, it’s not an unfair depiction of the era. 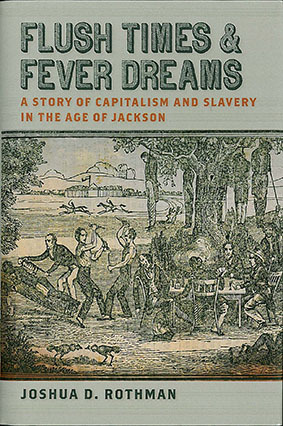 In his new book Flush Times & Fever Dreams: A Story of Capitalism and Slavery in the Age of Jackson, Rothman investigates an extraordinary true story of such pre-Civil War violence. The book tells the story of Virgil Stewart and his conspiracy theory pamphlet, which proposed that a petty criminal from West Tennessee named John Murrell was planning to launch the largest slave rebellion the South had ever seen. Rothman says the pamphlet became a catalyst for violence throughout the region.